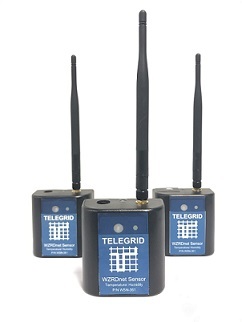 TELEGRID wireless mesh networks provide our military and commercial customers with a full range of products in this unique technology space. 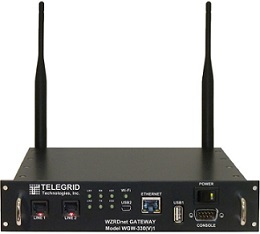 Our products include WZRDnet, a handheld-based network for transporting voice and data in restricted environments such as tunnels, Proteus, a wideband long-distance network used to transport IP traffic such as streaming video, and AeroGRID+, a drone-based “Fluid Topology” network which is dual-purposed able to transport both mission traffic (i.e., video) and drone telemetry information allowing drones to autonomously move in order to improve network performance. Network security is the number ONE concern in all networks developed by TELEGRID. AeroGrid+ is a drone swarm technology that facilitates the formation of an interconnected swarm of drones that operate autonomously by sharing situational awareness and operational information. AeroGrid+ is drone-agnostic and can be used with most drones. It is driven by a software application which can be changed in order to change the functionality of specific drones in the swarm. AeroGRID+ is a companion processor with an integrated MIMO mesh radio and interfaces to the drone’s flight controller. It allows drones to interoperate with other drones and with ground stations via a secure wireless broadband mesh network and exchange both mission data (i.e., streaming video) and telemetry. 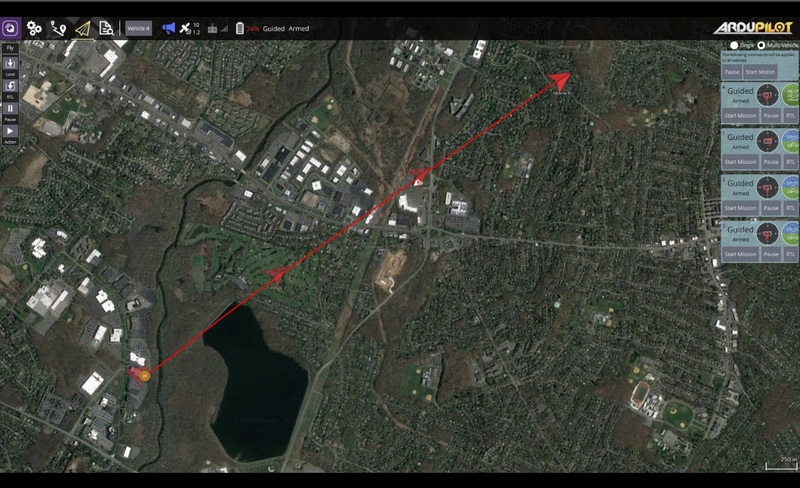 AeroGRID+ processes all received mission data and telemetry and derives a full situational awareness picture which it shares with other drones and ground stations. This allows each drone to operate autonomously. For example, drones can change their location, position, and operating parameters in order to optimize sensors’ performance, improve network quality, increase range and air-time, etc. The result is a fluid topology, where drones continuously move while inter-communicating. This facilitates advanced functions which are not possible with drones that just hover in a fixed location. AeroGRID+ combines a universal hardware platform and a suite of software applications developed by TELEGRID or by third party developers. These apps incorporate Artificial Intelligence (AI) and Machine Learning (ML) technologies making AeroGRID+ a powerful force multiplier in military and commercial applications. 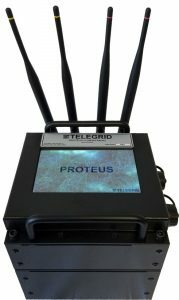 The TELEGRID Proteus Wireless Mesh Network is a flexible, ad-hoc, self-forming wireless network based on the 802.11/b/g/n IEEE standard. It is composed of a collection of stationary, mobile, or airborne nodes formed by TELEGRID Proteus Radios that operate in the 900 MHz, 2.4 GHz and 5.8 GHz frequency bands. Ad-hoc networks operate without a centralized access point or existing infrastructure and are self-forming and self-healing. They can be deployed in stationary architectures, such as with unattended ground sensors, or in mobile or airborne applications where network topology is unpredictable. Options for the power supply module include AC power, DC power, rechargeable battery power or solar panel power. 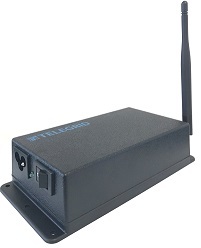 The TELEGRID WZRDnet Wireless Mesh Network is a low power ad-hoc network based on the IEEE 802.15.4 protocol, commercially known as ZigBee®. WZRDnet provides secure voice and data communications without the need for an infrastructure (i.e. no cell towers or satellites required). 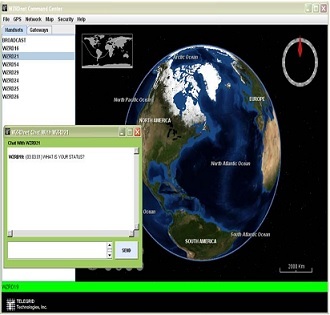 In WZRDnet each device (i.e., handset or repeater) functions as a router in the network, relaying messages from originator to destination. Unlike other mesh networks, this architecture does not employ base stations or central routing tables thus avoiding single points of failure. WZRDnet is a true end-to-end packet switched network allowing transmission of voice, data and position location information (PLI). 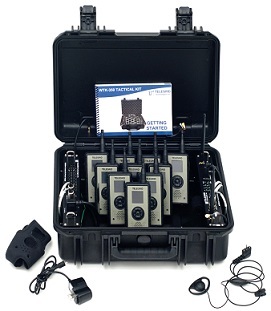 WZRDnet Kits contain, in a single man-transportable case, all the equipment needed to form a complete stand-alone voice, text and data mesh network as well as provide Wide Area Network access. WZRDnet Transportable Kits provide modular and mobile communications around obstructions and beyond line-of-sight. Increase capabilities by integrating satellite terminals, ruggedized laptops, and solar power sources. Data Sheet. 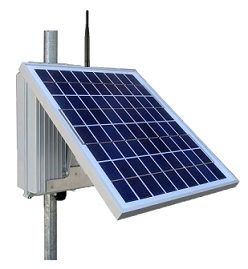 The WZRDnet Outdoors Repeater (P/N WRN-325) consists of a standard Repeater (P/N WRN-320) and a 10 Watt solar panel. It provides extended range coverage in an outdoors environment. The device is provided with its own free-standing mast and can be placed on any flat surface. The Repeater can be wirelessly programmed via the WZRDnet Command Center or connected to a PC via its mini-USB port. The solar panel charges up the internal Lithium-Ion battery in the repeater which provides at least 72 hours of continuous operation. WZRDnet includes a family of Networked Sensors (P/N WUS-36x) which can operate as part of the network. The family of sensors includes a Temperature/ Humidity Sensor (P/N WUS 361), a Liquid Sensor (P/N WUS362) and a noise sensor (P/N WUS 363). Sensors operate with an external 5 VDC power supply (e.g., a battery or a “wall-wart”) and can be placed in any position where they sense and report to any remote Command center.